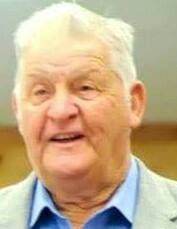 Anton (Tony) Zimmerhanzel age 81 passed away peacefully August 4, 2018. Tony was born June 16, 1937 to Helen and Adolph Zimmerhanzel in Flatonia, Tx. Tony was survived by his wife Shirley Cheatham Zimmerhanzel, three children Brenda and spouse Donnie Hajek, Theresa and spouse Johnny Condel, Randy and spouse Deana Zimmerhanzel and 5 grandsons Kevin Condel, Brandon Hajek, Keith Zimmerhanzel, Brett Hajek , and Kraig Zimmerhanzel one granddaughter Krystal Stoabs. 5 great grandkids: Lydia Condel, Harper and Emery Stoabs, Briana and Anton Hajek. Survived by his brother Alvin and spouse Mary Ann Zimmerhanzel. Tony was preceded in death by his parents Adolph and Helen Zimmerhanzel, 11 brothers and sisters. Tony worked in the oil field for 66 years with the last 35+ years with Cirrus production as production foreman.